The story of the destruction and resiliency of a St. Paul neighborhood will get a fresh look when a new documentary premieres this weekend. "Rondo: Beyond the Pavement" is the culmination of months of work and offers a new take on the well-documented saga about how a once-thriving African-American community was uprooted by the construction of Interstate 94 several decades ago. But while this retelling of the Rondo neighborhood's past includes interviews with residents who lived through the experience, the people behind the camera were not your typical filmmakers. 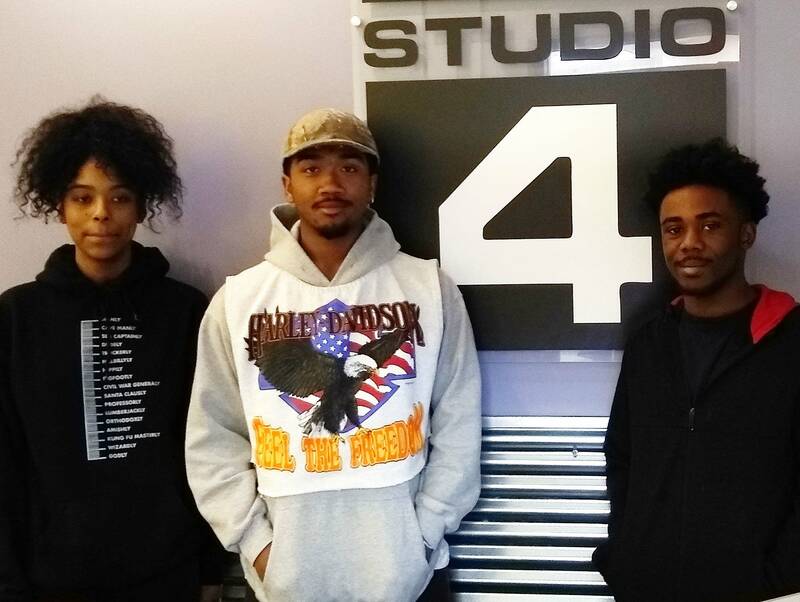 Students from St. Paul's High School for Recording Arts gathered the stories. They, along with those who helped oversee production, said the film connects a younger generation with those directly affected by a difficult chapter in their community's history. One of the students, Deonte Jones, grew up in the Rondo area. He said listening to what the film's subjects had to say transformed it from a standard project to an eye-opening experience. "So once I figured out, OK — this had this effect on this person, and then it affected this person in a different way — it makes you want to know how splitting up a community can affect the psyche of a person or deteriorate the home that people lived in," he said. Jones says the more he learned about Rondo, the more he was motivated to provide a platform for residents to tell their stories. Senior Jevrye Morris, who is also from the Rondo community, says he ended up interviewing someone who was close friends with his late great-grandmother. And Morris said there was another personal connection, one involving his fourth-grade teacher. "His grandfather's house got helicoptered out of [the] Rondo neighborhood without his permission. We went to the history center and they actually had files (on) his house," he said. "It kind of touched me, and ever since then I've been wondering what really happened in Rondo and how could they just take somebody's house and just move it out of where they were living." Amina DeLeon, a sophomore, said that for budding filmmakers, an experience like this one provides the opportunity to become fully engaged with the community. "I would really recommend doing projects — especially about our community and bringing awareness about things that aren't really spoken about," she said. Those who mentored the students, including filmmaker Bianca Rhodes of the St. Paul Neighborhood Network, said it was refreshing to see how the elders caught the attention of the students while working on the project. "There's an elder named Donna (who) really had a lot of great knowledge about Rondo, but then also gave them a lot of nuggets of how to prepare them for the rest of their lives and how important it is of this work that they're doing," Rhodes recalled. "And it was beautiful to witness that, and them getting it, and internalizing it, and understanding that this is an elder in my community that really cares about me and wants me to do great things." The students and their mentors also stressed that the film will show that despite what happened to the neighborhood a long time ago, the community wasn't completely fractured — and it's showing signs of rebirth. In addition to the efforts by the High School for Recording Arts and the St. Paul Neighborhood Network, the project was largely spearheaded by St. Paul Almanac and its Storymobile initiative. 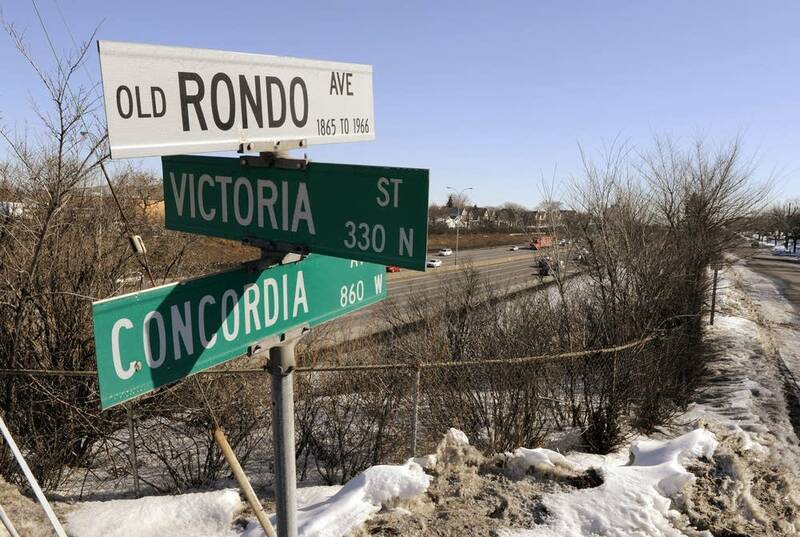 "Rondo: Beyond the Pavement" will be unveiled to the public during an event Saturday at the St. Paul Neighborhood Network's studios. That screening is sold out, but organizers say they're planning additional events in the coming months. No matter how much praise the film ends up receiving, the students say they've gained information and experiences that will stay with them for a lifetime.